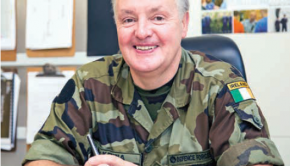 SIGNAL talks to Commandant Niall Buckley of the Air Corps about the provision of a pilot Emergency Aeromedical Service (EAS) scheme and what has contributed to the success of the project to date. We also speak to the Director of the National Ambulance Service, Mr Cathal O’Donnell, about this example of two state agencies working together to deliver service and value to the taxpayer. Could you provide an overview of the remit of the Air Corps in terms of providing the Air Ambulance service, what is your own role etc? 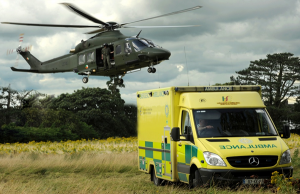 The Air Corps provides both a fixed wing and rotary air ambulance service in support of the HSE and the National Ambulance Service based out of Casement Airbase, Baldonnel. For the past 2 ½ years an additional AW139 helicopter, based out of Custume Bks, Athlone has also been undertaking Emergency Aeromedical Support (EAS1) Service tasks. This AW139 helicopter is commanded by an Air Corps Pilot, assisted by a Co-Pilot and Crewman (also a qualified EMT) as well an Advanced Paramedic from the National Ambulance Service (NAS), who has received specialist training to operate as part of an AW139 crew. Broadly speaking, the fixed wing aircraft (CASA CN235, Lear 45 and GIV) undertake the longer range, off-Island air ambulances, which are predominately to the UK, but also cover continental Europe. 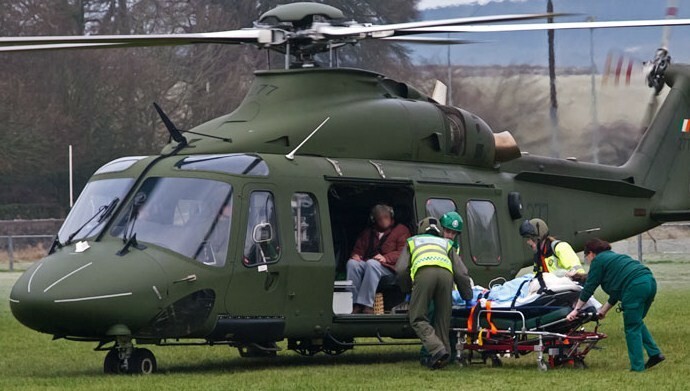 AC helicopters (both EC135s and AW139s) cover on-island inter-hospital tasks involving the transfer of patients directly from regional hospitals back to specialist care centers in Dublin, and the airlifting of seriously ill patients between regional hospitals. AW139 helicopters also undertake air ambulance missions to the UK, which include the airlifting of neo-natal patients to highly specialised medical care facilities in London. My job, as Officer Commanding 301 Tactical Helicopter Squadron, includes the supervision of all AC AW139 training and operations (including air ambulance and EAS tasks) in accordance with the Air Regulations Manual, as well as the flying of such tasks when required. I am a small cog in a big wheel when you consider that aside from the flying crew involved in such operations, there is also a huge support element including 24 hour support from AC Operations, Military Air Traffic Control and CRS personnel, Refueling, Base Security, MPs, catering and the very substantial Technical and Maintenance Support effort required to complete each and every task. Considering the organisation no longer provides SAR services, how important is the provision of Air Ambulance in terms of operational outputs? The Air Corps continues to provide helicopter SAR back-up as necessary in support of the Irish Coast Guard (IRCG), and AC CASA maritime patrol aircraft regularly undertake SAR flights. These are usually in poor weather and involve CASA crews remaining overhead a vessel or area for prolonged periods providing top-cover to RNLI and IRCG crews as exampled in the past month, where an AC CASA crew undertook an 8 hour flight providing ‘top cover’ for a SAR mission off the NW coast of Donegal. AC rotary crews maintain helicopter hoist operation skill sets and have NVG hoist capabilities that allow for the operation of AC helicopters in mountainous and highly congested terrain at night, where normal civilian helicopter SAR operations would not otherwise be possible. The maintenance of hoist skills is integral to our military roles and capacity for SAR is a byproduct of that skill set. As the AC has now completed over 100 air ambulance missions and completed over 800 EAS missions so far in 2014, it is one of the highest profile aspects of our Aid to Civil Authority outputs. 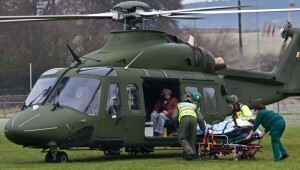 As all AC aircraft involved in air ambulance tasks have lower-profile primary roles, be it surveillance and security, or joint operations with the Army or Naval Service, this means that -from a public perspective- air ambulance flights tend to get much, of the media interest, alongside the wok done with the Garda Air Support Unit (GASU). 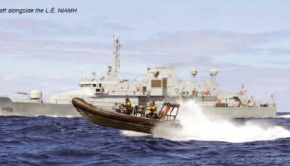 In many ways it is similar to when the AC undertook SAR missions from Baloney, Finner and laterally Waterford; the public attention went to the SAR tasks while the much lower profile but much more substantial commitment to joint operations with the Army in Monaghan, Finner and Gormanstown; fixed wing Maritime Patrolling; Naval Support Squadron operations from LÉ Eithne; and, Garda operations nationally, went almost unnoticed. What particular training is required for personnel involved in these missions and how is this training provided? Generally speaking, there is a high level of congruence between the military flight skills that all AC crews already have and those skills required for air ambulance flights. From a rotary perspective, all helicopter crewmen are also EMT qualified, and there are no particular flying skills that have to be taught in addition. Given that this is a new role, a specialist EAS course, approved by DJ7, was introduced for all flying crew, which all EAS flight crews have to undertake in Baldonnel. This involves both ground instruction and a number of simulated EAS flights to take into account the shortened flight planning window requiring adherence to additional SOPs etc. and familiarisation with the Athlone area and its weather idiosyncrasies and area geography. In terms of aircraft maintenance, what extra demands does the Air Ambulance services place on Air Corps aircraft? From an airframe and aircraft engine perspective, routine AC maintenance schedules cover aircraft maintenance needs; however, individual air ambulance stretcher systems do require on-going maintenance in terms of battery recharging etc., and as all AC aircraft involved in air ambulance missions have different primary security/defence roles, there is a need to re-role the aircraft when they are tasked for air ambulance flights. This is achieved in a seamless manner by a skilled and dedicated technical maintenance staff. When the AW139 and EC135 helicopter procurement programmes were initiated it was deemed necessary to procure dedicated air ambulance systems for each aircraft type. There was wisdom in this decision given the number of times they are used each week. These systems include a stretcher location, oxygen storage facilities and racks to support essential medical equipment. 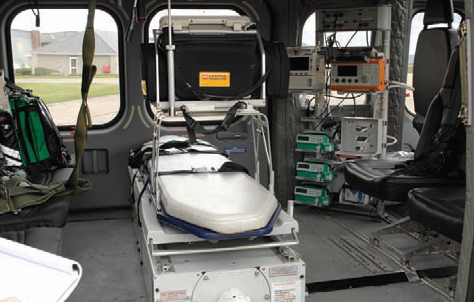 The AW139 also has a multi casualty litter system, which allows for the airlift of 4 stretcher cases simultaneously; however, this is only used in a mass casualty situation. The Air Corps also procured dedicated air ambulance equipment, or undertook aircraft modifications, to ensure that the CASA CN235s and Lear 45 are able to undertake air ambulances or intra theatre airlifts as required. Role alterations are carried out by AC maintenance personnel in Baldonnel while the flying crews undertake the necessary flight planning and overall mission co-ordination. The EAS helicopter in Custume Barracks is the only aircraft that is permanently roled in the ‘air ambulance configuration’, which is necessary given that it is normally airborne with 7 minutes of being tasked by the National Ambulance Service. In many ways it is the behind the scenes technical and maintenance support aspects of air ambulance flights which provide the challenges. Given the amount of specialist medical kit that has to be carried on board any air ambulance flight, it means that there is a large amount of ‘certification’ required. Anything that travels on board anyaircraft has to be certified for flight, meaning that detailed appraisals have to be carried out on all medical equipment by AC technical personnel before it can be carried an AC aircraft. There is significant liaison between the AC and the National Ambulance Service/HSE to ensure that all essential medical equipment is appropriately certified, which is complex and detailed work. What are the parameters of the Air Ambulance role in terms of the range which missions can be executed, what sort of conditions are not suitable for Air Ambulance evacuation? The CASAs and Lear 45 can fly directly to Europe, but require refueling stops if they are required to travel further afield. The decommissioning of the G IV has meant a significant diminution in capability in terms of strategic lift and reach, which given our island status, has had a negative impact on a number of our contingent evacuation capabilities. The AW139 helicopters can reach London and Glasgow without refueling; however, in practice the AW139s undertake the on-island tasks and can reach any part of Ireland within one hour of launching from Baldonnel. In terms of weather and in particular icing conditions, fixed wing platforms are less susceptible to poor weather conditions having onboard anti-icing systems and also they use airport landing systems to aid their arrival and departure from airports, whereas helicopters have to fly under ‘visual flying rules’ when landing outside of airports e.g. at hospital helicopter pads. The introduction of Night Vision Goggles has expanded the number of hospital locations we can use for 24 hour operations. Over the past weekend an AW139 crew airlifted a patient from Letterkenny to Galway in the very early hours of the morning. This flight was conducted entirely with the aid of goggles. So while helicopters can fly directly from hospital to hospital, fixed wing aircraft can sometimes fly in poorer weather conditions. This has brought about certain capability synergies as both AC fixed wing aircraft and rotary aircraft complete particular mission together e.g. a helicopter crew may deliver an organ retrieval team directly to a particular hospital, with the medical team then flown out of the nearest airport by an AC fixed wing aircraft to the receiving destination, which can sometimes be in the UK. What are the short/medium term plans for developing or refining the service? 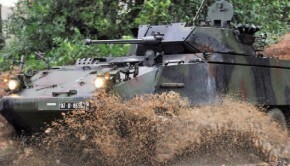 The EAS as it currently stands was a one year pilot project, which then received 12 week extensions over a 2 ½ period. We therefore need to critically assess the resources required to bring the service up to the standards required of a permanent emergency aeromedical support service. 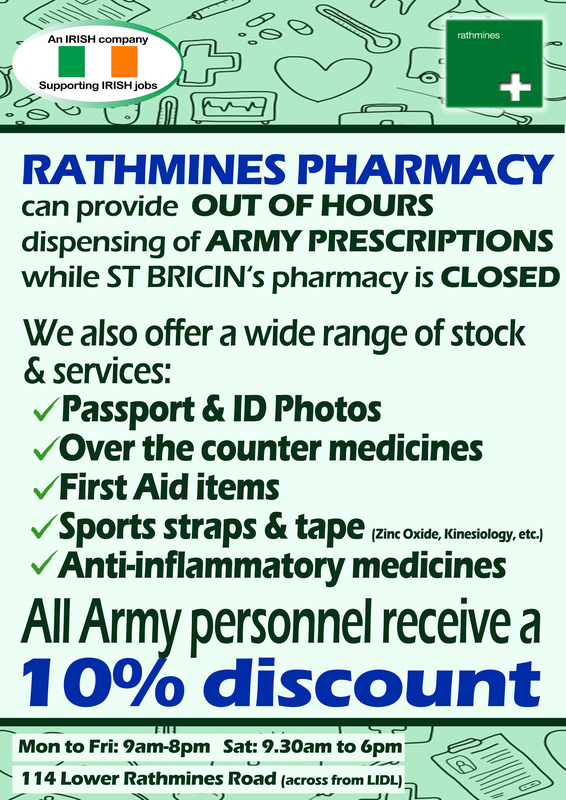 I would like to note in particular the fantastic support that all in Custume Barracks have given the EAS detachment over the past 2 ½ years. Any support sought was given willingly, and given that we come and go at all hours, we aren’t exactly a quiet neighbour! In terms of inter-agency cooperation, how do the Air Corps interact with other services and whose direction do Air Corps personnel operate under while attending a scene? The National Aeromedical Co-ordination Centre is responsible for the tasking of the EAS aircraft and ensures that its progress is continually monitored from take-off to landing. There are very clear lines of responsibility when attending any scene. The NAS have their own protocols when dealing with patient handovers etc. and the Gardaí play an important role in terms of securing proposed aircraft landing sites and the transport of APs to scenes where a helicopter landing could not be safely affected. The NAS AP is in charge of all aspects of the medical treatment of any patient(s) to be airlifted; the aircraft commander remains in charge of the helicopter and is responsible for all issues relating to aircraft safety. In practice this means that the AP and crew work together taking into account the needs of both the aircraft (from a flight safety perspective) and the patient. 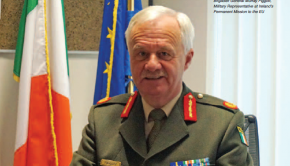 I think that there is excellent co-operation between the NAS and the DF and this can only go from strength to strength given the professionalism of all concerned. It would be remiss of me not to highlight the professionalism of the cohort of NAS Advanced Paramedics who work with us. They are impressive to see in action and provide an extraordinary service in often very difficult circumstances. The interaction at the operational and strategic level is managed by way of SLA and MOU governance structures which lay out the responsibilities of the parties involved. The Air Corps has operated with various Government Departments for years using such structures to positive effect. We will complete our 1,000th task at some point in the coming few months, which should serve to highlight the work done by all those involved in operating, coordinating and supporting the EAS effort at all levels. 1. EAS is also referred to as HEMS (Helicopter Emergency Medical Service). For the purposes of clarity, we have referred to is as EAS throughout the article.